A memorable collection of weather sayings, beautifully arranged in story form and illustrated by renowned paper artist Elly MacKay. Red sky at night, sailor's delight. And, the next morning, when the dew is on the grass, no rain will come to pass. These are the perfect conditions for a grandfather to take his grandchildren out on a fishing trip. Especially since, as the saying goes, when the wind is from the West, then the fishes bite the best. The family takes a boat out on the lake, fishing and swimming and eventually camping out on a nearby island, taking full advantage of the gorgeous weather. But the next day . . . red sky in the morning, sailors take warning! The family ventures back home just in time to avoid a rainstorm. But not to worry -- the more rain, the more rest. Fair weather's not always best. 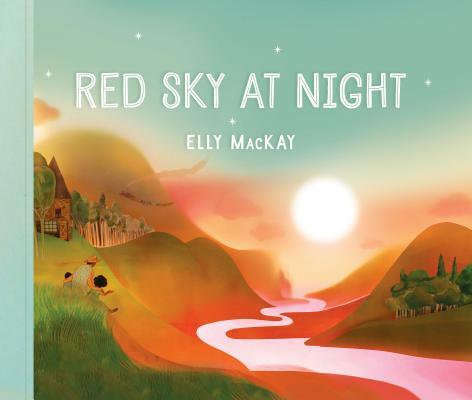 Acclaimed paper artist Elly MacKay illustrates a lovely family narrative through the use of weather aphorisms, creating a beautiful and informational story which will appeal to children's timeless fascination with the natural world. ELLY MACKAY is a paper artist and a children's book author and illustrator. She wrote and illustrated the picture books If You Hold a Seed, Shadow Chasers and Butterfly Park, among others. She studied illustration and printmaking at the Nova Scotia College of Art and Design and at the University of Canterbury in New Zealand. Her distinctive pieces are made using paper and ink, and then are set into a miniature theatre and photographed, giving them their unique three-dimensional quality. Elly lives in Owen Sound, Ontario, with her husband and two children.